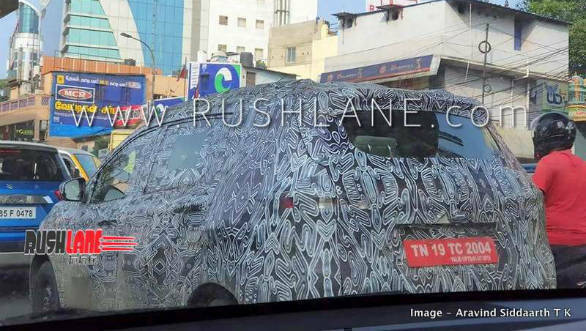 The upcoming Renault seven-seater MPV so far codenamed the Renault RBC has been spotted testing again. These pictures give a better sense of the new car's size. It seems to slot in between the Ertiga and Marazzo dimensionally. The RBC will be based on a modified version of the CMF-A platform that underpins the Renault Kwid. The wheelbase will be longer than the Kwid's and we expect a slight increase in width as well. The front and rear overhangs are quite short in an attempt to maximise interior space. While the car is wrapped thoroughly in camouflage paper a close look gives an idea of what the frontend would look like. The headlamps, for instance, appear to be quite large, flanking the cascading grille with the Renault lozenge in the centre. The top variant will get LED DRLs that have been placed above the fog-lamps. The interior should be similar to the Kwid's with a similar set of equipment as well. Power will most probably come from the Kwid's 1.0-litre three-cylinder motor which makes 68PS and 91Nm, paired with a 5-speed manual or AMT. Although, it might also make sense for Renault to equip the car with the 1.2-petrol from the Renault-Nissan line. This engine powers the Micra and puts out 77PS and 104Nm. 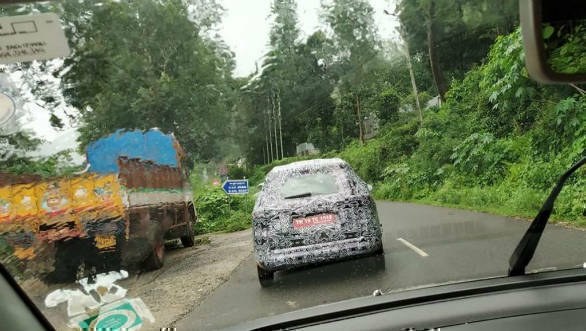 Also, given the more heavy-hauling, this car is expected to do, a reworked diesel unit based on the 1.5-litre K9K motor would make perfect sense. Renault recently confirmed that it would focus on its core models in India to gain more sales. This vehicle follows that strategy. The Kwid had impressed buyers with its space, feature list and value. The new MPV will hope to be as appealing, given that the company's recent record with bigger vehicles like the Lodgy and Captur hasn't been ideal. 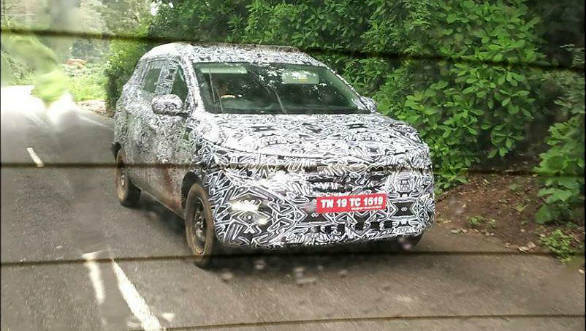 Although no dates have been announced, the Kwid based MPV could be launched by the end of the year.